And that’s what happened in Los Angeles this year. A cat saved her owner from a dog attack in Bakersfield….by jumping on the dog’s face and chasing him away! So when the local annual “heroic dog” trophy was awarded they had a trophy made with “dog” scratched out and “cat” etched in above it. 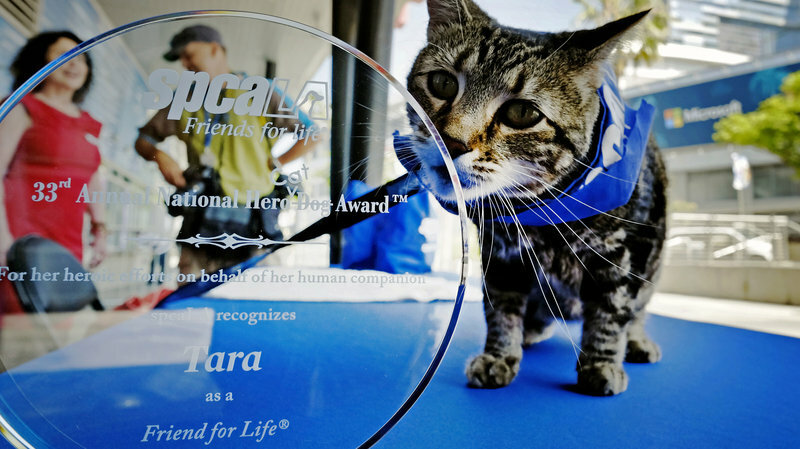 Congratulations to Tara the heroic cat-dog. This is the least bizarre story of misidentification we’ve heard all summer. CLICK HERE for the coolest (and only) cat video I’ll ever post a link to.